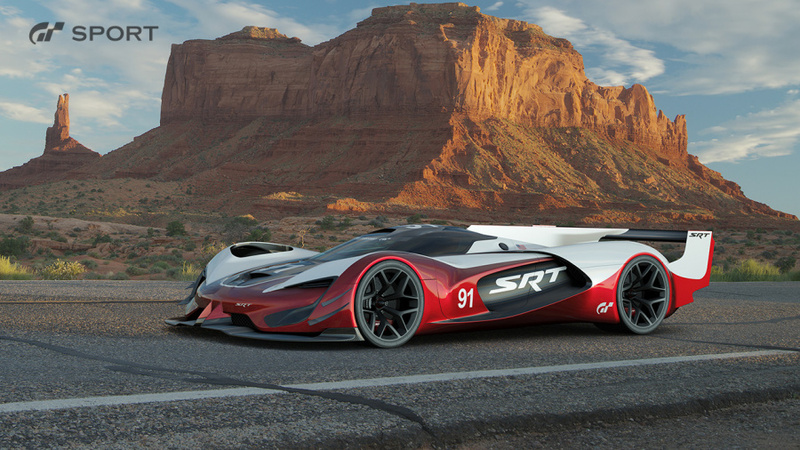 Gran Turismo Sport tore up the UK charts earlier this week, and now it's busy doing a victory lap in Japan. The PlayStation 4 exclusive sped straight to number one in the Land of the Rising Sun, shifting just over 150,000 copies. Not a bad result by any means, but the series continues its decline in its native Japan. It was followed by Sammy's most anticipated title, City Shrouded in Shadow, which sold around 50,000 copies. The Evil Within 2 also made the cut, settling in third place. However, it wasn't able to top the sales of its predecessor, moving just about 43,000 copies. The first game did around 60,000 copies on PlayStation 4 alone -- it did another 60,000 or so on PlayStation 3 -- and at the time of its release back in 2014, that was considered a bit of a flop. These new PS4 releases didn't really do much for the console itself, though. Hardware sales did jump, but only slightly, to about 31,000 units across the standard model and PS4 Pro. Pretty good week for PS4 software but not great for the hardware considering the number of releases. I imagine Switch is going to go nuclear with Mario if they've got the stock. Psycho Break 2 in third place, not bad. @MadAussieBloke MK8 on switch didn't take off? Fastest selling in franchise history, they sold half a million launch day in the US alone and were up to in 3.5 million after basically 2 months. I'd say it took off just fine for them lol. Any chance of Itadaki Street 30th Anniversary getting localized? wow..strong sales for fortune street. would import that but waay too expensive for a board game. I’m reading elsewhere that the PSVR sold around 27,000 units during this period. That’s pretty good on the hardware front. @lacerz That's amazing, do you have a link? Good numbers for PS4, as is to be expected with this kind of a lineup. The PS4 version of Itadaki Street alone already sold better than the previous entry on Wii. @redd214 You've got bunk data. For example, at this point in its lifecycle Mario Kart Wii had already sold around 1.8 million copies in Japan alone, and it's the same story worldwide, and likewise with Mario Kart DS and Mario Kart 7. How can Mario Kart 8 be "fastest-selling" when it's selling so much less than previous entries? After July 2008, Mario Kart Wii had already sold close to 5 million copies worldwide. MK8 NS isn't even on the same level. My bad, it’s a different research firm that is referring to the previous week, which coincided with the launch of the new PSVR headset in Japan. The sales numbers match up with last week’s numbers. @lacerz Thanks for sharing this. It outsold MK wii at launch (at least in the US) so yes, fastest selling in the biggest territory. I get what you're saying, point being saying "MK8D didn't take off" is a ludicrous statement. @redd214 This is why you should never ever trust Polygon. Mario Kart Wii sold 1.12 million copies in US alone in the same timeframe. How is 0.5 million bigger than 1.12 million? Add to that MK Wii and other entries also kept selling faster than MK8 NS after launch. So yeah, MK8 NS didn't "take off", relative to the standard of the series. And those differences are just going to get bigger, like they've gotten bigger from launch to here. To reiterate, It outsold MK wii at launch (at least in the US) so yes, fastest selling (initially) in the biggest territory. So to say fastest selling is still 100% accurate, at least according to Nintendo. @redd214 Alright, it seems that this is a problem with Nintendo PR, and these sites (several of them amateur or "contributor" sites) just swallowed the Nintendo PR hook, line and sinker, without checking the numbers themselves. Obviously MK8 NS can't be the fastest-selling anything when MK Wii and other entries were so far ahead of it. Headlines and PR may lie, but the numbers don't. But yeah, this is enough for this conversation. Redd's many links are counting 7 days of MK8Deluxe sales. MK8Deluxe took off like crazy, it's ridiculous to assume otherwise just because it's in 8th place after 6 months on the market. I actually had some Nintendo questions in mind while reading this article. Great to see that this comment section has turned into a Nintendo discussion! With that said... I’m surprised to see Splatoons sales numbers. Was the first game a hit in the UK? I was surprised by the Switch being number one. I was under the assumption that Nintendo was just doing ok in the UK. And that Nintendo always played second fiddle to Sony. Has Nintendo ever won a generation, saleswise, in the UK? @legalstep I guess slow and steady really does win the race. I thought this was a PlayStation fan site. Yes, but, also, Nintendo fans may be Playstation fans, then, all right; and well, it's internet, is some "normal" that when is a "apple topic", in less of 5 min (5 comments), will be a "pear topic"
I'm a Nintendo fan too, but it can get a bit boring talking about a 3 1/2 year old MK game. I'm here for PlayStation news. @BraveFencerZan You know what? So is the Polygon article and the Nintendo PR. That's how the NPD system works. Even if a game is released in the last days of the month, it's counted for the "whole month". And again, it's selling so much worse than previous entries in the series. It didn't take off, not at launch, not after launch. @Mart1ndo_ Yeah, but with some unfortunate Nintendo trolls on the side, regurgitating unfounded fabrications just to defend the NS. @mahe wow lol, you're wrong. Just accept that.